While using steam tables can be really handy there are a few problems that can occur during service that need some attention. First some items need to remain covered to maintain their proper temperature while other items have to remain covered when not in use for safety reasons. To keep your steam table pans covered without the hassle of taking off and putting on a lid every time access to the pan is needed or finished Royal Industries recommends using its square-back rool-top cover for full-size steam table pans (ROY RRC). 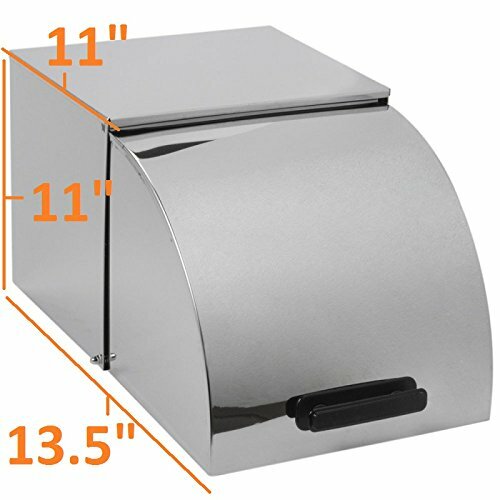 This stainless steel roll-top cover allows quick and easy access to the food it's covering while protecting the food from outside elements.